Mobile Innovations will join other world-leading NICHE users, partners and police IT experts to showcase their seamless, smart-phone-based, PC-like experience in the street, the cruiser or the station. Showing how MPANiche RMS puts mobile police knowledge at the officer’s fingertips, Mr. Bauer will be on hand throughout the conference, and afterwards for in-vehicle demos. TORONTO, May 11, 2018 (Newswire.com) – ​Mobile Innovations CEO Gary Bauer today announced his company’s two scheduled police business sessions at the upcoming 2018 Niche User Conference in Toronto, from May 13th to 16th, 2018. One session on Force-Wide Mobile MPA Niche on Android, and another on 2-Factor Authentication will be open to all attendees on the afternoon of Tuesday, May 15th. Mr. Bauer will be on hand alongside representatives from South Wales Police and OPTIC throughout the show to do live, demos of Mobile Innovation’s Mobile Police Assist (MPA) Niche solution, on both Android and iOS devices with PKI 2-Factor Authentication. Vancouver, Canada, February 22, 2018 (Newswire.com) – ​​​​Mobile Innovations CEO and Founder Gary Bauer today announced his company’s participation as an exhibitor at the upcoming Canadian Chiefs of Police IT Workshop, to be held in Vancouver’s Fairmont Hotel, February 25 to 28th, 2018. 2-Factor-Secured MPA Niche: A complete and secure mobile Records Management Solution that provides direct, speedy and secure CPIC and other federal database access. Meets strong PKI cert-based authentication standards for Android and iPhone smartphones. 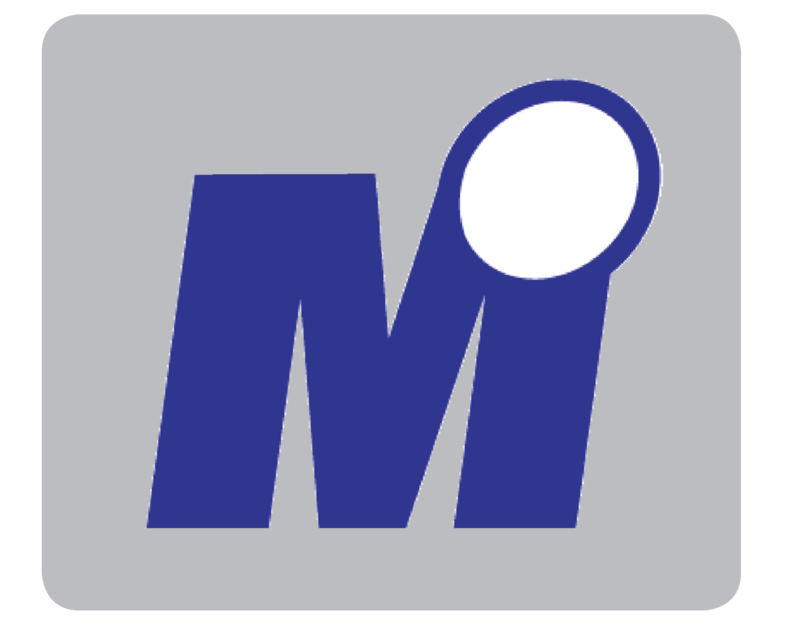 MPA Electronic Pocket Notebook; Provides automatic timestamped and geotagged entries for every lookup, query, check and plate run; every form used, every interaction with the RMS is automatically logged and notes may be added manually as required. Mr. Bauer will be on hand at the FSET exhibit to offer answers, discuss specific needs and pilot programs, and to help inform CACP members about how secure smartphone solutions work to quickly and affordably empower connected officers and enhance their on-the-job work experience. FSET is a Mobile Innovations Partner offering Managed Security Services and more to SMB and Enterprise organizations. Based in Kenora Ontario, FSET specializes in progressive, technology-based solutions for public and private sector clients in law enforcement, health care, finance, banking and other service sectors. 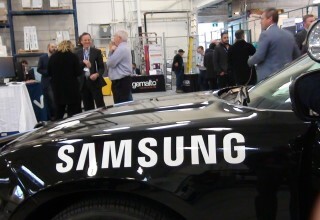 TORONTO, November 17, 2017 (Newswire.com) – Mobile InnovationsCEO and founder Gary Bauer joined Rogers, Samsung and Darta Fleet Solutions to demo his company’s new 2-factor-secured Niche Mobile Police Assist (MPA), to a packed audience at the Rogers Connected Officer 2017 Forum. 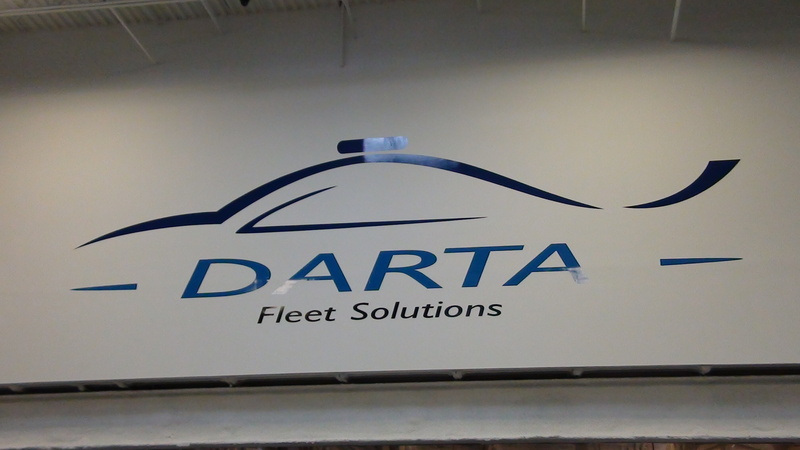 Held inside Darta’s state-of-the-art up-fitting facility, the event featured vendor presentations as well as the Mobile Innovations demo and attracted over 100 mobile law enforcement experts and solutions providers from across Canada, the USA and the U.K. 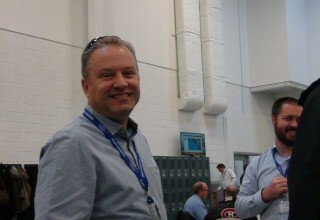 Throughout the sold-out event, Mr. Bauer carried out over 50 live demos, showcasing his company’s MPANiche mobile solution, native apps like MS Office 365 and VDI (Virtual Desktop Interface) using Citrix Receiver and Horizon clients to connect back to a windows desktop when a native app is not available to access necessary data. Using a 12” touchscreen, full-sized keyboard, license scanner and ticket printer, running on a Samsung Note8 and connected with the embedded Samsung Desktop Experience (DeX) station, the seamless setup was demonstrated live for the first time ever, in a Darta-up-fitted Dodge Police Enforcer. 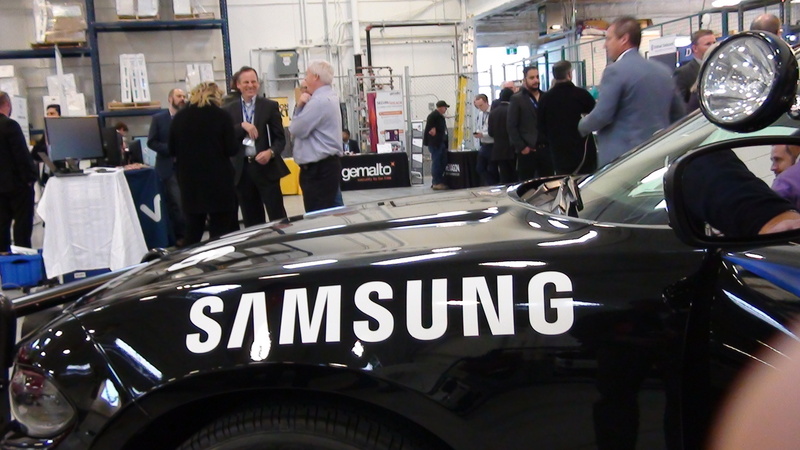 There was a queue to get in the car, and numerous questions and answers as folks imagined a phone-based platform for the street, in the vehicle, and back at the station. The Darta up-fit with Samsung DeX and Mobile Innovations is now available at a fraction of the cost of ruggedized laptop up-fits and works with Galaxy Note8 and Galaxy S8/S8+ devices. Mobile Innovations Embeds a Samsung DeX Station in the New Darta Fleet Solutions Police Cruiser for Low-Cost In-Vehicle Mobile Data Using Galaxy S8 & S8+ and Galaxy Note8 Devices. The Samsung DeX is Mobile Innovations’ secret weapon in the new Darta Fleet Cruiser, for lowest-cost, secure RMS and mobile data for law enforcement. Mobi’s audience loved it and is asking for a more detailed follow-up. Good show Mobinnoco! PHILADELPHIA, October 24, 2017 (Newswire.com) – Mobile Innovations and Darta Fleet Solutions embed Samsung DeX Station Into Concept Police Cruiser At IACP 2017 For Low-Cost In-vehicle Data Using Galaxy S8 and S8+ and Galaxy Note 8 devices. 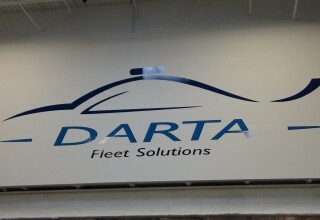 Mobile Innovations Founder and CEO Gary Bauer today officially announced immediate availability of his company’s solution for secure mobile data, in the form of a fully-loaded Darta Fleet Solutions Dodge Enforcer featuring Samsung DeX Station with USB, HDMI and Ethernet connections. To maximize in-car users’ visibility and ease of use, Mobile Innovations has DeX enabled their Android Niche RMS client so that it presents in portrait mode on the phone. When docked in the car the Galaxy S8 or Galaxy Note8 is presented in a full-screen landscape mode on 12.1 ruggedized screen. While docked in the car the phone is also being charged by the DeX Station. The battle for the handheld will be won on the desktop, and the DeX Station is a huge factor in seeing how this could permit your phone to become your primary data device, in-car, at your desk, and on the street. In this concept cruiser, Mobile Innovations leverages the affordability and functionality of DeX Station by adding a ruggedized 12.1 inch monitor and keyboard — turning the Galaxy Note 8 or Galaxy S8 or S8+ into an end-to-end mobile data access solution. From the officer’s hand to a desktop, to an in-vehicle Samsung 8 series device — there is no break in the chain with fingertip data access that is better, faster and cheaper. The entire in-cruiser RMS data setup available launched at the IACP 2107 Conference and is available now for about one-third of the cost of a ruggedized laptop solution. “We’ve worked on a few concept cars with Mobile Innovations over a five- or six-year period, but our upfit for Samsung is past the concept stage and is immediately commercially available today!” said Mr. Bauer. Comments from participants at the IACP conference being articulated are ‘the battle for the handheld will be won on the desktop’, and the DeX Station is a huge factor in seeing how this could permit your phone to become your primary data device, in-car, at your desk, and on the street. 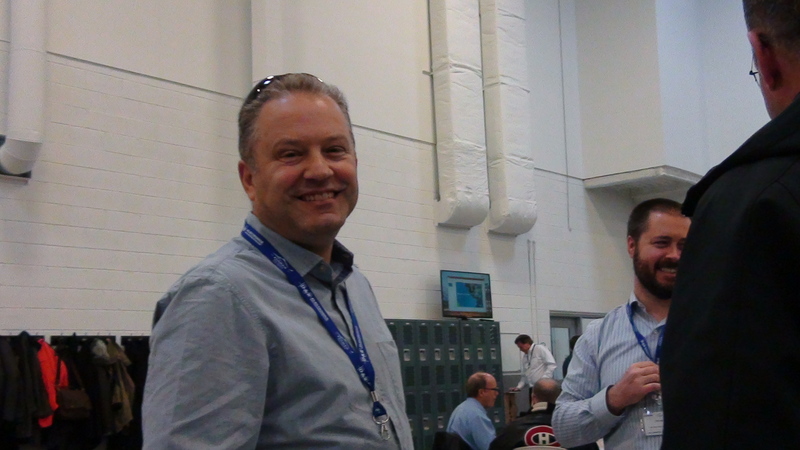 KENORA, CANADA, July 11 2017 Treaty Three Police Chief Louie Napish and Mobile Innovations CEO Gary Bauer today announced their successful completion of proof-of-concept for two-factor Authentication for the Treaty Three Police Services’ iPhone. This Canadian mobile policing innovation is the first in Canada to provide the two-factor security level required for police officers to use iPhone to access police data, paving the way to provide secure mobile access to police data to officers in the field. Two-Factor Authentication enables users to access data on their iPhones when two factors of authentication are provided. It is an extra layer of security for officers’ Apple ID, designed to ensure they are the only persons who can access their accounts, even if someone knows their password. Canadian Law Enforcement policy requires all National records or Police data be accessed only if protected by two-factor challenge/response authentication. Mobile Innovations is currently the only Canadian mobile software firm able to offer two-factor Authentication in compliance with Canadian Law Enforcement’s strict requirements for smartphones. Developed leveraging the Entrust Datacard Technology Alliance partnership, Mobile Innovations’ two-factor solution gives Treaty Three Police Service officers industry-leading PKI technology solutions through their Entrust Datacard platform. Integrated with the NIST FIPS 201-compliant credentials from Entrust Datacard, the solution uses contact and NFC interfaces on smartphones and desktops. Using Entrust IdentityGuard Mobile Smart Credential, the two-factor solution on smartphones and tablets leverages NIST SP800-157 compliant derived credential technologies capabilities certificates on iOS, Android and Blackberry 10, which provides seamless smartphone security. Gwent Police report on improved Technology. iPatrol on Samsung Note4 devices, on Vodaphone 4G allows officers to aceess Police Databases, identify individuals and collect evidence, and could lead to a 10% increase in the time police spend on the streets, equating to an additional 436,000 hours per year. 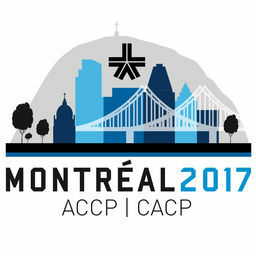 Armed with a new suite of MPA apps for mobile law enforcement, Mobile Innovations President Gary Bauer will be launching ‘Generation 3 MPA’ at the 110th CACP Conference and Exhibition in Quebec City – August 16 to 19, 2015.